Filipinos are not destined to be poor. We all deserve to live a life out of poverty, for there are many ways of succeeding in life, especially since our country is blessed with vast natural resources that we can capitalize on. In my last feature, we showcased successful Filipino entrepreneurs who saw greener pastures through agriculture. Many are seeking ways to get a good-paying job; some even go abroad to earn a living. In the context of small farmers and fishermen, many of them work very hard but still do not enjoy the quality of life they deserve. Our advocacy wants to see this scenario change for the better and we hope to encourage future and present farmers to think like entrepreneurs and uplift their standard of living. Agripreneurship is now becoming a hit for those who pioneered in this line of expertise and business. Many succeeded because of their passion in doing it. Today, many of our countrymen are enjoying the fruits of their labor and harvesting success from agribusiness. As we promote opportunities in agri-negosyo, we invite you to join the first Agri Negosyo Summit on July 25 at the World Trade Center. For more details, contact 637-9229 or 637-9347. Meanwhile, let me share with you some more success stories of successful Filipino agripreneurs who were also featured in Go Negosyoâ€™s 50 Inspiring Stories of Agri-Entrepreneurs book. 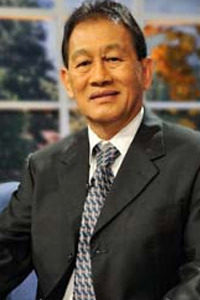 Joel Magsaysay retreated from his top position in a food-chain company, left the corporate world and pursued his mission as a nature lover. He traded in his prestigious life to live on his own little farm. Turning his bee farm into a business was not the first plan. He and his family first started incorporating bee products into household items such as soaps and toothpaste. At first, they were just giving them as gifts to friends and family, but through word of mouth, news about their products eventually spread. Learning only through books, Joel and family are the proud owners of the Ilog ni Maria Honeybee farm, housing 800 colonies of bees. Edith Dacuycuy of Refmad Farms owns the largest dragon fruit farm in the country in Ilocos Norte. Her farm was a result of her search for a cure for her daughterâ€™s illness. The Dragon Lady, as she is called, was able to grow her business through process innovation and research, and her farm is very notable for its zero-waste farming practices. With the expansion of her business, Edith realized the need to register her agribusiness and encourage other local farmers to engage in dragon fruit production. Her dragon fruit is distributed here in the country and abroad. 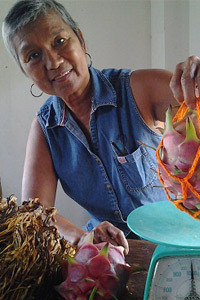 Her vision is to make the Philippines a very big producer of dragon fruit. 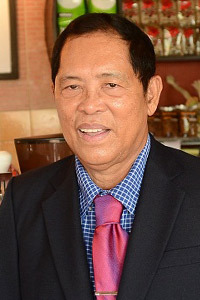 The former Department of Agriculture head during the presidency of Corazon Aquino and former country manager for Dole Philippines and Costa Rica, Senen Bacani knows a lot about agriculture. 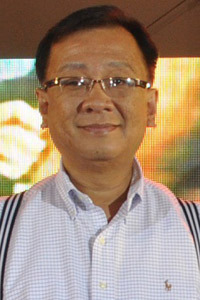 He is now the CEO of one of the largest exporters of bananas in the country, La Fuerta Inc. Determined to help his community in Mindanao, he converted vast lands into a plantation that now produces five to six million boxes of Cavendish bananas and exports them to the Middle East and countries in Asia. They use their tagline as an inspiration: â€œWe excel because we care.â€ True enough, it is not only their world-class products that made them big, but also their efforts to care and value their hardworking farmers. From his travels to Taiwan, Arsenio Barcelona was inspired by the technology and techniques used in their farming. He then brought this information back to Manila. In 1997, Known-You Seeds Co. Ltd., the largest and most prestigious seed breeder, producer and distributor in Taiwan, got them to be the exclusive importer and distributor of their products, which then led to the Harbest Agribusiness Corporation. After their success, they now offer monthly training to encourage and inspire Filipinos to try backyard farming. 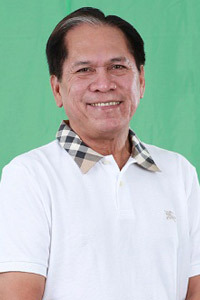 Jose Mercado, chairman of Merlo Agricultural Corp., grew up on a coffee farm in Lipa, Batangas, owned by his father, and spent his childhood years helping him run the farm. He was inspired to continue, for this was something he knew by heart, so he put up his own coffee business and realized his dream to have a better life. Jose did not go to college but took courses in accounting and taxation for he knew by then what he wanted to do. Merlo is a combination of his and his wifeâ€™s last name: Mercado and Lopez. 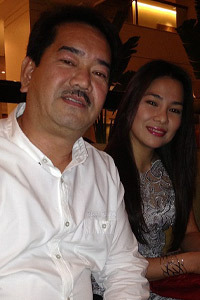 He is proud to say that his family is one of the pioneers in the Batangas coffee industry. They bank on the quality of their coffee beans and roasting technique. In 1990, Jose developed his own blend, which became a hit because of its flavor, and called it Cafe de Lipa â€” named after his hometown. He sells three brands of coffee: Batangas Brew, Cafe de Lipa, and Kapeng Barako, which have all proven popular in the market until today. 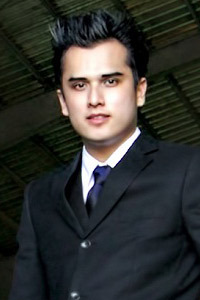 The youngest business tycoon in the country started by studying the family business, and through his passion to develop their business, Calata Corporation is now the countryâ€™s largest distributor of agrochemicals, feeds, fertilizers and seeds. Joseph believes that the agricultural sector should be empowered for it will bear great products. He also treats the farmers as their best asset for they would not be the biggest agricultural conglomerate without them. Having helped introduce agriculture-related technology, now Calata Corporation is signing deals with different foreign firms. 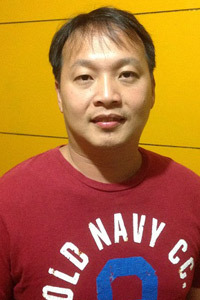 Jeffrey Lim was involved in business at an early age since his family ran a noodle factory. A request from a friend to have a goat as a gift for his birthday inspired his business. He thought that, since many farmers raise goats, he could easily source them. He also realized that there was more he could do in the goat business, which was breeding. He and his wife started raising six goats in 2001; in 2004, he decided to convert his goat-breeding hobby into a full-blown business. His venture began to soar and, in 2009, he was able to sell more than 400 goat breeders. JSJ is also expanding into related businesses like goat milk production and feta cheese. Today, his business continues to profit and goat raising has been his goldmine since he started. Credited with saving the waling-waling in the Philippines from extinction, Charita Puentespinaâ€™s passion for growing orchids and love of plants led her to establish her own business. She grew up loving plants because her family was into agriculture and their backyard was full of plants and vegetables. Charita was enticed to grow orchids by her friends, who had beautiful orchids in their homes. She knew that she could grow them herself, and started importing orchids from Bangkok and Hawaii. She researched orchid breeding and propagation and invested in it. By the 1980s she was able to successfully propagate waling-waling in her laboratory. 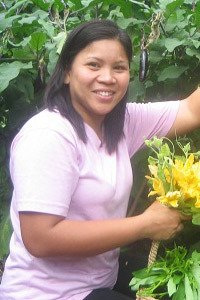 It attracted demand locally and abroad, so she expanded her farm, which is now known as Malagos Garden Resort. 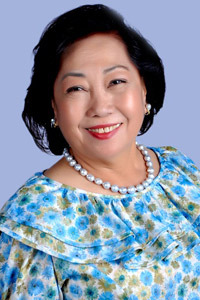 In 2008, she bought land adjacent to her farm and named it Golden Sunset, where cacaos are grown and manufactured as chocolates. With only limited knowledge of farming, Desiree Duran was challenged to start her agri-business after attending a seminar. She turned one hectare of land into a plantation of tomatoes that piqued the interest of her own community, which became involved in the production. Duran Farm and Agribusiness Center now trains farmers and teaches them about modern technology in farming. Through these efforts, they have produced high-quality fruits and vegetables and also developed seeds that are now available on the market. Paris Uyâ€™s advocacy for organic products has been well-received in the country. He is into producing organic vegetables, which today are very much in demand. Live Green International Inc. now distributes fresh produce and organic products to 19 outlets in the country, including well-known malls and establishments. They also opened the first whole-foods store in the country named Organiko. Live Green also gives training programs to farmers and has now produced a total of 160 graduates as of May 2014, 88 of whom are now certified and official organic contract growers. Ferdinand MaraÃ±on started his career in sales and marketing. After 14 years in that field, he ventured into agriculture, where he found his niche and success. In 1980, he put up the Sagrex Group of Companies. For over 30 years, Sagrex has not stopped opening new markets and dominating the competition in terms of agricultural trading. It has grown to at least five different companies engaged in the production and sale of different products catering to the different needs of the market, from fertilizer trading to packaging innovation. Hence, they set up the first polyethylene foam plant in Davao in 1990. 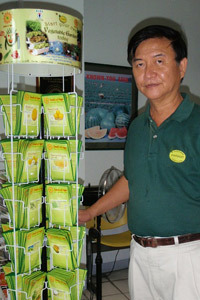 His venture involving bananas is his most successful, expanding to Cavite and catering to the Calabarzon area. Sagrex Foods Inc. has also embarked on the commercial production of frozen microwaveable bananas for export. Today, they are one of the largest exporters of this product around the world. 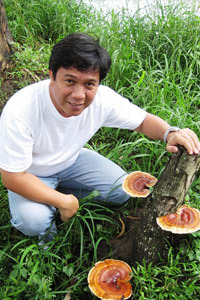 Interest in science and his considerable scientific knowledge led Philip Cruz to establish Herbanext Laboratories Inc., which has grown to become one of the largest local sources of herbal extracts. Philip grew up having agriculture as part of his life since he spent time on his fatherâ€™s farm and fishpond in Negros Occidental. He first set up an aquaculture venture and eventually shifted to mushroom growing and processing. After mastering the science and process of it, in 2002, Herbanext was born. Through intensive research and innovation, he was able to manufacture and export herbal extracts. Herbanext was very keen on entering the export market for it would generate more jobs for farmers. Philip believes that his determination to benchmark Herbanext against the best in the field has born fruit as it has been able to establish itself as the pioneer herbal extract manufacturer in the Philippines. Having been in the poultry business since 1994, Martin Ozaeta and his wife Pilamarâ€™s Gemsun Marketing produces close to 55,000 eggs daily. When they were starting, Martin did not have a background in the poultry business but with the help of Pilamarâ€™s parents, who were into it, he learned the process slowly but surely. Martin and Pilamar started with 3,000 chickens and this has grown to over 60,000 today, despite many challenges and setbacks through the years. Hard work, determination, and fortitude are the twoâ€™s keys to success. Their determination to succeed comes from the fact that there will always be a demand for eggs in the market. Today, to generate stronger market demand and trust, Martin and Pilamar continuously search for ways to improve their production and produce quality.